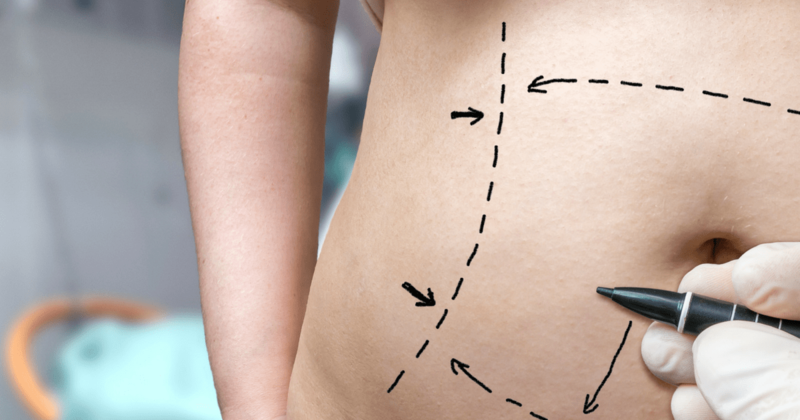 Liposuction vs. Tummy Tuck | What's the Difference? Liposuction and tummy tucks have been confused from one another since they’ve existed. This is perhaps due to common misconceptions that a tummy tuck is the all-time solution to women who just had a baby, or having liposuction as a way to tighten the skin. Patients are often confused about the difference between liposuction or tummy tuck when it comes to improving the appearance of the abdomen. A common misconception is that liposuction will tighten and shrink up the skin. Liposuction is one of the most common surgeries performed worldwide. Though it is indeed one of the most popular procedures individuals opt for, it is ironically the least understood. Liposuction in its simplest form is the insertion of a small metal tube that is connected to a vacuum suction device. The tube is essentially passed back and forth while sucking the fat out from underneath the skin. There are different types of liposuction devices that can be used depending upon the surgeon’s preference. Each plastic surgeon uses his or her judgment to decide which device and which size tube or “cannula” should be used for the surgery. A larger and more aggressive cannula, or tube, is needed when areas have a high amount of fat such as the flanks, while a smaller cannula is more fitting for areas such as the chin or neck. Liposuction is good for removing fat, and will not remove excess skin. In the example of pregnant women, liposuction will not work if the patient has excessive or flabby skin, even if the fat is removed. If you have an area which you want to rid of fat, and you have a good skin tone (skin laxity), then liposuction is for you. However, if you see excessive skin, such as flabbiness, with less fat but more droopy skin, then liposuction will not help. While most women do not want a tummy tuck, it is still the gold standard for removal of both skin and fat. In most postpartum women the issue is loose skin. It is often the best option in this population. To be a candidate for a tummy tuck, other than having a loose stomach, or having excessive skin in the area, you must be healthy and be at a reasonable weight before the surgery. The heavier the patient is, the riskier. It is also important to consider that tummy tuck surgery will not make you “thin”, and that you should have realistic goals before your surgery. While Tummy Tucks do indeed remove some fat and skin, weight loss may not be as great as you think. Other then fat, factors such as our organs and muscles, which may be heavy and dense can contribute to your weight as well. 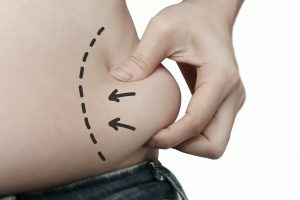 Tummy tuck and liposuction to note remove the fat that is inside the abdominal cavity. That can only be diminished through diet and exercise. The bottom line is that before making your choice, you should know the main differences between a Tummy Tuck and liposuction. While liposuction can remove fat, it does not remove excess skin. In the case of a woman who is pregnant, if you are trying to get rid of the extra skin, liposuction is not the answer. A tummy tuck, on the other hand, can help remove fat and tighten the skin as well. If a patient has a small bulge of fat, but the overall skin is tight, then liposuction can be a great and effective choice. Candidates with looser skin may want to consider a tummy tuck instead. If you’re thinking of removing fat from your body, tightening your skin, or want to learn more about your options, contact Dr. Tattelbaum today to schedule a tummy tuck consultation.